Our "GateMouth Jr®" Tool Bag. The bag is designed with industrial quality duck material, a super wide opening, and a rigid base. 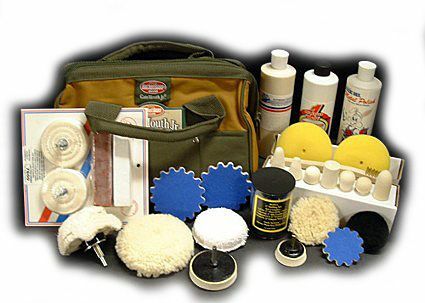 It is just as durable as a vinyl tool box and is large enough to carry the accessories, polishes, several brushes, towels, and your own drill.